This document contains important information on the following matters. For any comment or query on this Data Protection Statement and to talk to the local reference contact, you may contact the Company’s customer service at the following e–mail address info@maratona.it and telephone number: 0471 839536. Data Protection Officer (DPO): MFO ITALIA SOCIETA’ TRA AVVOCATI A RESPONSABILITA’ LIMITATA. Foro Buonaparte 12, 20121 Milano - Avv. Tommaso Tisot, dpo@maratona.it. In the event of explicit and freely given consent, the data collected for the purposes indicated in point a) above will be also be processed for direct marketing purposes by the Controller and in particular for sending information, commercial or advertising material related to the services and/or products offered by the Company also by means of electronic mail, text messages, fax and other instant messaging instruments also functioning on third party platforms. The data will be processed fairly and lawfully and used solely for the purposes indicated in the paragraphs above. Processing will take place by means of appropriate instruments to guarantee the security and confidentiality of the personal data which may be handled using paper-based instruments and/or automated means or computer systems suitable for recording, managing and transmitting data. The conferral of personal data is mandatory solely for the purposes indicated in Article 2, para. a) , to allow use of the website and related services and requested by the user, if necessary subject to a statement for each additional service as established by the law. Your refusal will lead to your being unable to benefit from such services. However, it will still be possible to access the website without providing any personal information but some features will not be available and some services cannot be provided. The conferral of data and consent granted for processing for the purposes indicated in Article 2, para. d), are optional. However, lack of explicit consent will mean that such services cannot be provided but there are no further consequences. If you do not intend to supply us with your consent for such purposes, you can still use the site and services for the purposes indicated in Article 2, para a). In other words, the consequences of a refusal to reply or to grant your consent are always explicit and are connected with each service provided. For example, a refusal of the related processing can prevent you from accessing the site with all its features (in the case of cookies), the receipt of our newsletter (with regard to the newsletter service) or the receipt of advertising material (with reference to Article 2, para. d). Therefore, the user will be informed by appropriate means when an actual case occurs, but in any event he/she will be able to access the website even in the event of refusal to give consent to the processing of personal data, when requested: in this case some of the features and characteristics of the site may be disabled. Processing connected to the web services related to this site are performed at the registered office of the Committee in str. Damez 34, 39036, Badia (BZ) save for explicit exceptions and are handled only by the Company’s technical personnel specifically appointed for the processing. The site’s hosting service is provided by ESIDE Srl on the cloud server hired in the farm of the provider Amazon (Amazon Web Services), located in the European Union, who warrant to the Controller, in accordance with their remit, full compliance with the applicable laws in the matter of processing personal data. 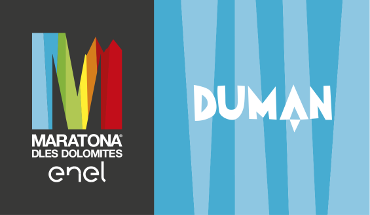 Each person interested may provide his/her personal data voluntarily to the Comitato Maratona dles Dolomites in order to receive trade communications or promotions however they may be called either by digital or paper notices. Cancellation of the service: if you no longer wish to receive the newsletter, all you have to do is to click on the cancellation link to be found at the end of each e-mail or send a request to the e-mail address info@maratona.it. Cancellation is handled by automated means, and you could receive other newsletters the mailing of which had been planned prior to receipt of your request for cancellation, in any case within a period of maximum 72 hours. The website www.maratona.it uses a technical cookie to detect the navigation language and third party cookies to analyse user navigation. Some of our pages use Facebook social buttons or widgets. Facebook can store cookies on your computer. Some of our pages incorporate videos that are published on YouTube. YouTube can store cookies on your computer. Some of our pages use Twitter social buttons or widgets. Twitter can store cookies on your computer. Some of our pages use Google + social buttons or widgets. Google +can store cookies on your computer. Data conferred are kept for the length of time provided for by legislation and, in any case, for the time strictly necessary to implement the activities for which the data has been collected and/or until withdrawal of the consent given for the purposes contained in Article 2. However, personal data collected will not be kept for more than twenty-four months for marketing purposes as set out in Article 2, paragraph d) (save for any amendments and/or addenda to such reference legislation in terms of personal data protection which will be expressly notified to you). For the purposes set out in Article 2, if only prior consent is required, the data can be disclosed to third parties whose cooperation may and/or needs be used by the Committee for performing the services offered. The data collected on the web or, in any case, generated by web services, can be disclosed to technological and instrumental partners used by the Controller for rendering the services requested by users/visitors and always in compliance with the purposes indicated in Article 2. The data subject is the natural person, identified or identifiable, to whom the personal data processed refers. We wish to inform you that, in your capacity as data subject, you have the right to access at any time the data processed by the Controller (right of access) in order to ascertain the correctness and verify the lawfulness of the processing carried out. Moreover, you may exercise all the rights granted by the applicable national and European regulations (by Legislative Decree 196/2003 and Reg. EU n. 2016/679 and subsequent amendments and addenda): in particular, you may request at any time the correction and updating of inexact or erroneous data, limitation of the processing carried out and the erasure of such data (right to be forgotten), as well as lodge a complaint with the Data Protection Commissioner. To allow the Committee to operate in the best interests of the user, the latter is requested to regularly verify and update your personal data. If you are a registered user, you can access your personal data and amend them but using the user account setting on the Website. Otherwise you can contact the Committee (info@maratona.it, fax 0471 839915, str. Damez 34, 39036, Badia (BZ) ) to receive help to update your personal data. The data subject always has the right to object to the processing of the data concerning him/her if it is performed for the purpose of direct marketing as indicated in Article 2, paragraph d). In this case, your personal data will no longer be subject to processing for such purposes (right to object). This website addresses a general public but its services are intended for persons of 18 years and over. The Committee does not request, collect, utilize and disclose personal data provided by persons under the age of 18. If the Committee becomes aware that it has personally collected data concerning a minor, it will erase them. The Committee has taken appropriate steps to protect the user’s personal data from accidental loss and unauthorized access, utilization, amendment and disclosure. The management of this Website uses password controls, firewall technology and other technological safety measures based on procedures. Although the Committee has put the above security measures into place for its Website, the user should be aware that it is impossible to guarantee 100% security. Therefore, the user provides his/her personal data at his/her own risk and, to the maximum extent allowed by applicable law, the Committee cannot be held responsible for their disclosure due to errors, omissions or unauthorized actions of third parties during or after their transmission to the latter. The Committee advises the user to periodically update the software to protect transmission of data on the networks (for example, antivirus software) and to ensure that the supplier of the electronic communication services has adopted appropriate means for the security of data transmission on the networks ( for example, firewalls and spam filters); maintain the confidentiality of user name and password to access the user account and not communicate them to anybody as well as periodically changing the password. In the unlikely event that the Committee is of the opinion that the security of the user’s personal data in its possession or under its control has been or could have been compromised, the Committee will inform the user in accordance with the procedures envisaged by applicable law, using the methods required by law (by supplying the Committee with his/her e-mail address, the user agrees to receive such communications in electronic format through such e-mail address). The Committee, at its own discretion, reserves the right to change, amend, add or remove parts of this Data Protection Statement at any time by publishing the revised version on this page of the Website. It is the user’s responsibility to re-read the Data Protection Statement from time to time in order to discover any changes made. In some cases, the Committee may provide further notices concerning major changes to this Data Protection Statement by publishing a notice on the first page of this Website or, in the case of registered users, by sending an e-mail notice or by inserting a notice on their account page. Accepting such revised Data Protection Statement by clicking on the “accept” button found in the e-mail notice or in the notice published on the account page (where this is envisaged to comply with applicable regulations), by using or sending information to the Website after publication of the revised Data Protection Statement, the user accepts such revised Data Protection Statement. After the amendments made if envisaged by applicable regulations, user data will not be subject to processing without the explicit consent of the user.